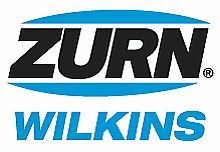 Zurn Wilkins has been supplying quality water control products to the marketplace since 1906. Products include backflow preventers, pressure regulators, and a variety of other support products. 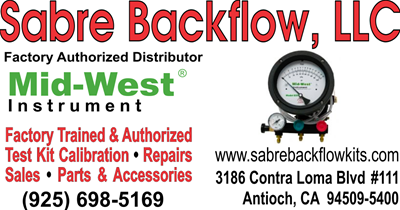 Sabre Backflow Kits specializes in test kit calibrations, repairs, sales, parts and accessories. We are factory trained and authorized by Mid-West Instruments. We provide quick turn-around time, and special discounts for NCBPA members. Contact us for any information you may need. Our insurance program was designed to meet the evolving business insurance needs of Backflow Device Testers in California, Oregon, and Nevada. Coverage is written by an A+ XV rated insurance carrier. We are a full-service independent agency offering quality insurance options for Private Testers, Consultants, Instructors, Manufacturers and Distributors in the cross connection control industry.